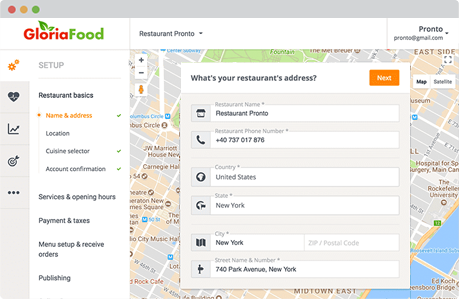 GloriaFood is a system exclusively built for restaurants, that offers food ordering and table reservation. 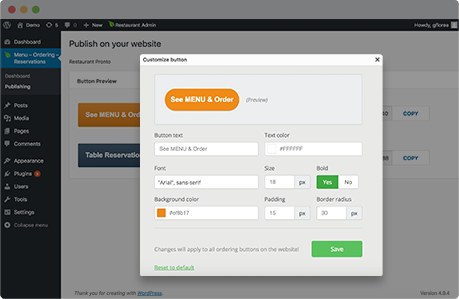 Its recently released plugin makes it super easy to set up a restaurant menu and add the ordering and booking widgets on a WordPress website. The team aims to offer outstanding user experience without burdening the restaurant owners with additional charges. That’s why the GloriaFood plugin is free, with no commissions or costs for unlimited orders and table reservations. Monetization is accomplished through other optional modules (which you can find in the full featured admin panel, outside WordPress). 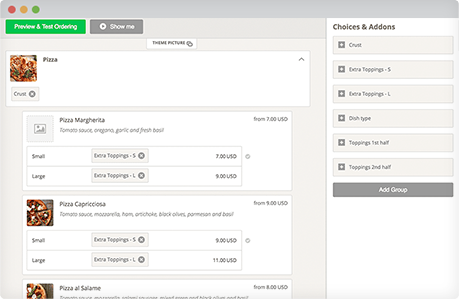 The idea is simple: you set up a restaurant account and then publish on your website 2 widgets: the See Menu & Order button and the Table Reservation button. The overlay is responsive and the menu behaves beautifully also on mobile devices. Moreover, design wise, the focus goes on the food images and the conversion button, while everything else is rather neutral. This makes it easy for the widget to “blend” into the website, so that everything looks as one. All incoming orders and table reservations are being pushed to a restaurant app (Android/iOS, smartphone or tablet). When a new order comes, the phone rings so that the restaurant staff can review and accept it right away, providing as well the fulfillment time. 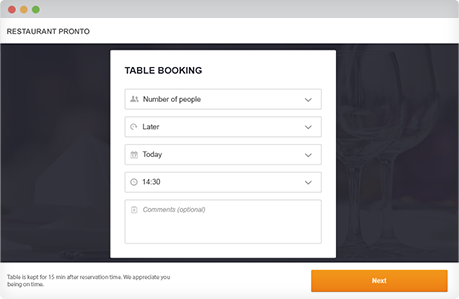 Similarly, table reservations are confirmed in real time from within the app. 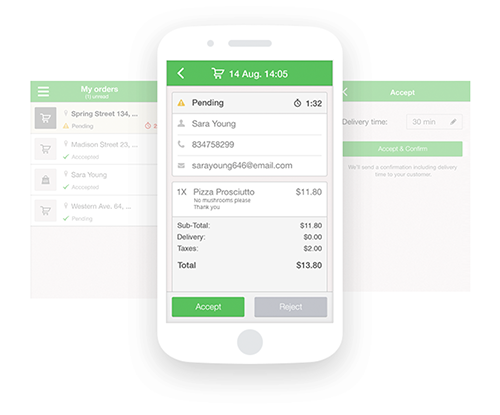 Worth mentioning: the app offers support for SMS auto-printing and thermal printing. Once you activate the plugin, you need to create an account and go through the restaurant setup. 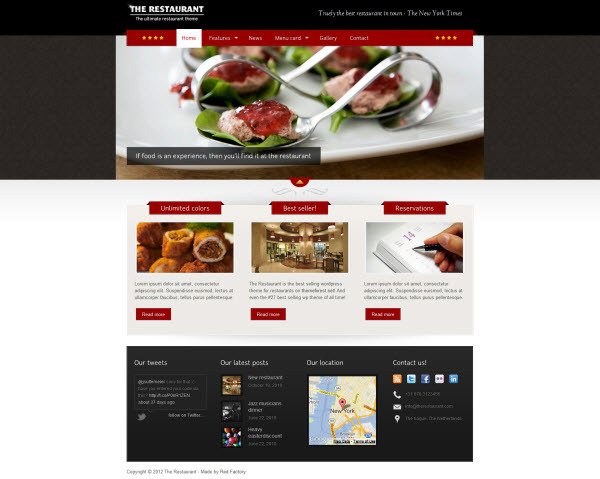 Here is where you provide details like restaurant’s location and the type of services it offers. Add-ons are great for up-selling. From extra toppings to side dishes and drinks. The editor gets another big plus for the images. You can easily upload your own, with a decent support for cropping and zooming. But in case you’re just getting started and don’t have good pictures available, you are invited to use the editor’s stock images. Having the setup and menu done, it’s time to publish the widgets on the website. Just like with any other plugin, you get two shortcodes that you simply insert in the pages. One thing is worth mentioning here: the buttons can be easily customized to fit the branding. So if orange doesn’t work for you, in the publishing section you get the chance to set your own style. 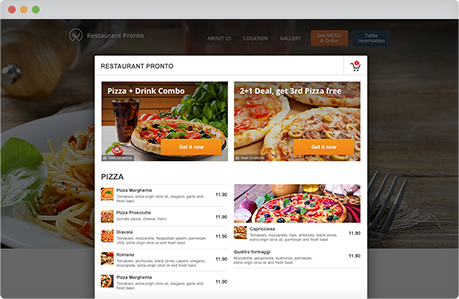 All the above functionality is available for free in this WordPress restaurant plugin. However, as a GloriaFood user you get access to the full featured system, which includes some more yummies like reporting and promotions. Georgiana is an online marketer with a track record in building systems for conversion and retention. She is passionate about using data and insights to influence the customer journey and improve the user experience. I’m looking at it for a client and it really looks like the best one. Very sleek and sells the customer.